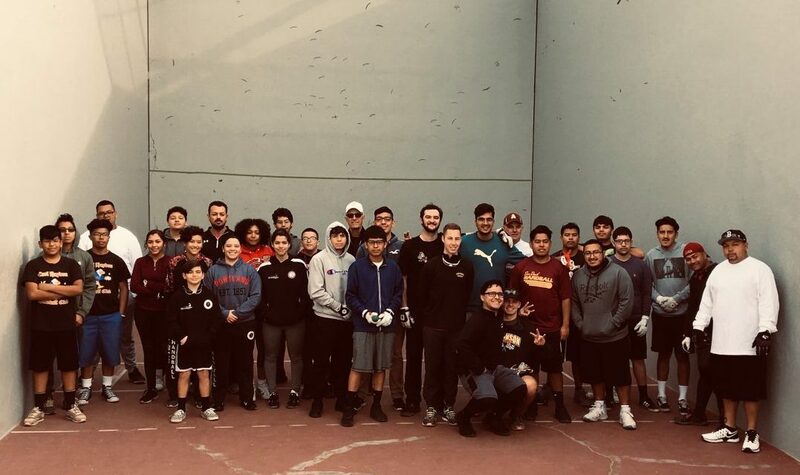 Phoenix, AZ, WPH Press, 2/14/19- The Carl Hayden Handball Club had the great pleasure of hosting a non-tournament handball event to thank those individuals, groups, and parents for supporting our program over the last two years. More than 50 participants attended our event, including ASU players & their Coach, Dan Willeford, former Hayden Alumni Benjamin Fernandez & David Munoz, outside agencies: ASU’s “Upward Bound” & “Success 4 Kids” (Jerry Bernard), “The Fred Lewis Foundation” (Tucson), guided by Abraham Montijo, tag along students/players, our own handball club, parents, Jim Reitmyer, and our most popular “court,” our food, which was manned by Mr. Coronado (“Be a Leader Sponsor”) and Mr. Martinez (Math IL). The Hayden Kick Ball Handball Challenge line-up was simple: create a venue and let the player determine the level of play & expectation. We had two divisions Open/A & B/C, which consisted of Round Robin and Doubles, with the players classified and paired based on their skill set. We also had D/E division, consisting our novice/beginners, who were given one-on-one instruction/guidance by Dan Willeford, ASU’s Handball Coach. ASU’s “Upward Bound” presented to our parents in the late morning, after which our parents were provided with a taco lunch. During the afternoon, there were open courts, with one court reserved for handball challenges. The reserved challenge court featured objects hung on the wall to see which player could hit them. It seemed to be the main attraction! All participants were given a tote back provided by our own Robotics Club (Mr. Whitley), and shirts were give to volunteers and Challenge winner, again provide by our Robotics Club (Mr. Whitley). Our handball club picked up the “bill” for lunch, which was our THANK YOU to our Handball family, and a way to start building our tradition as a program. I want to give a special thank you to Gustavo, our security guard, for going above and beyond “his” call of duty on Saturday. 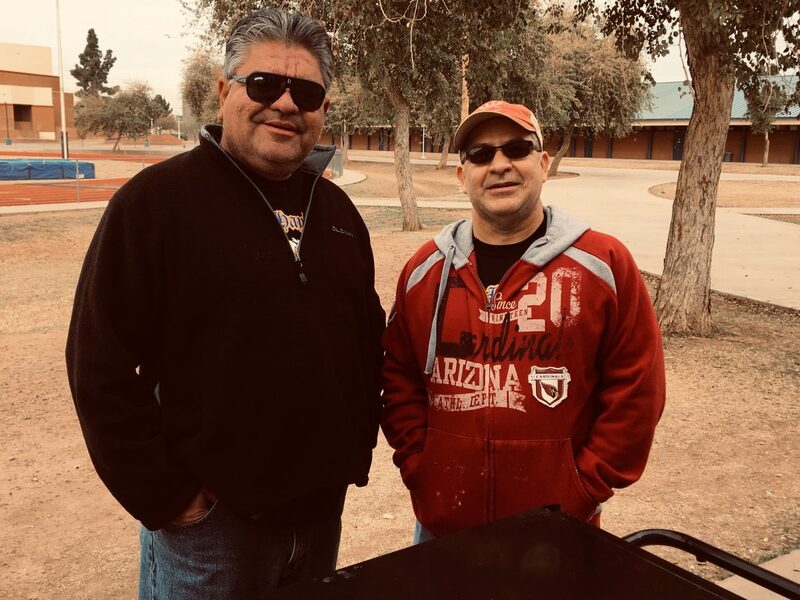 Finally, I want to give a “standing ovation” to Mr. Coronado & Mr. Martinez for cooking up, cutting up, and serving up over 240 street style tacos and doing it Carl Hayden – style, with a lot of Falcon love!! We received a lot of positive feedback and support from those in attendance, especially our parents. The Hayden Handball Clubs is looking to growing this event to create a better awareness and value of handball to those who do not know. ACE 21! 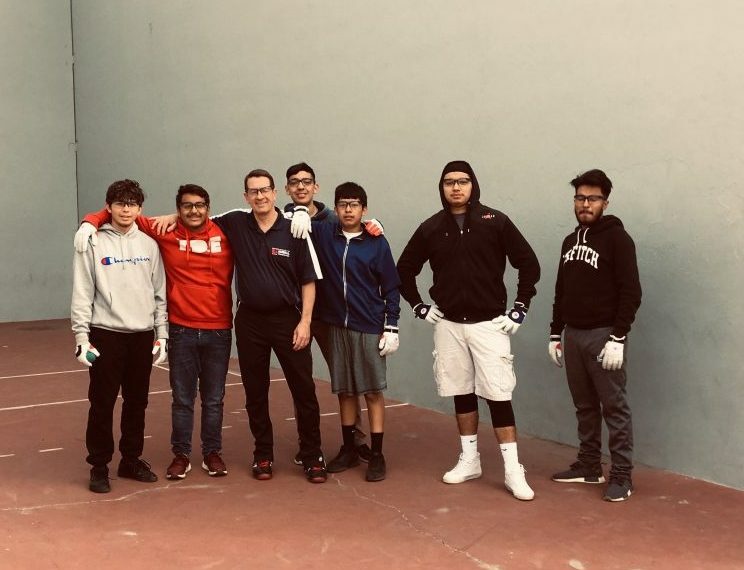 The flourishing Carl Hayden high school handball program will make its way to Tucson on Saturday, February 23, as JR WPH will host the enthusiastic teenage handballers in Tucson. JR WPH will provide instruction and match play for the youngsters at the Tucson Racquet Club.